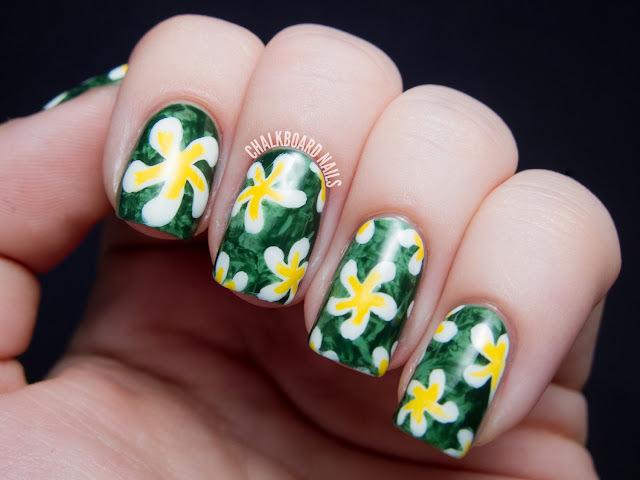 Floral nails: you all know I do a lot of them! This time, I wanted to try something kind of stylistic, and I think I achieved that... in a way. For better or worse, that "way" might just be "Hawaiian shirt." I'm pretty sure I'm into it though! I started with a base of Zoya Josie. After letting the base set, I painted on one coat of Zoya Hunter, and then used some wadded up saran wrap to dab off part of that wet top layer. This created the marbled look that you see in the background! I actually think it totally suits plumerias -- it lends a kind of tropical, dense leafy effect that I wasn't honestly expecting. I then freehanded on the white plumeria shapes in Zoya Purity, and added the yellow centers with Zoya Darcy. I chose to put one big flower on my pointer to break up the manicure a little bit. 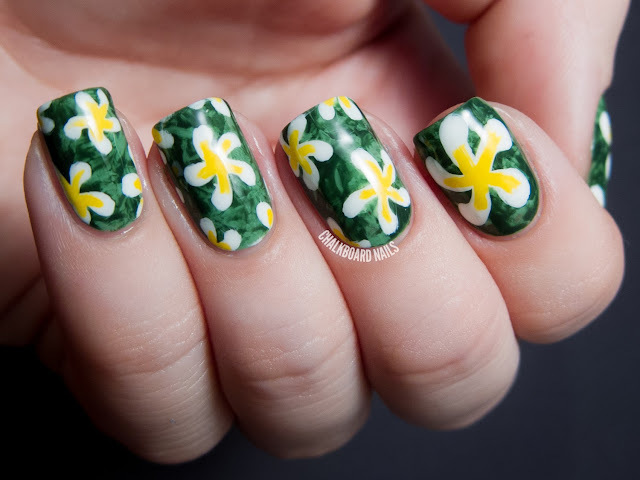 My original plan was to do lily of the valley nail art, as I think those flowers are really jaw-droppingly beautiful, but I had a hard time turning it into a doable design. I'll have to keep working on it so I can show you another day! 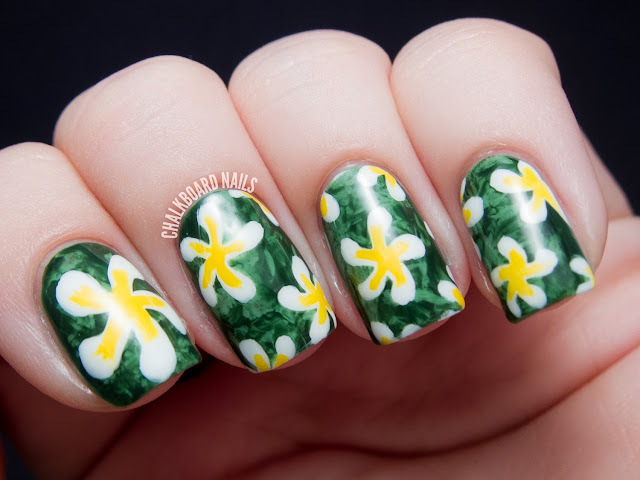 My floral nails from 2012! My floral nails from 2011! 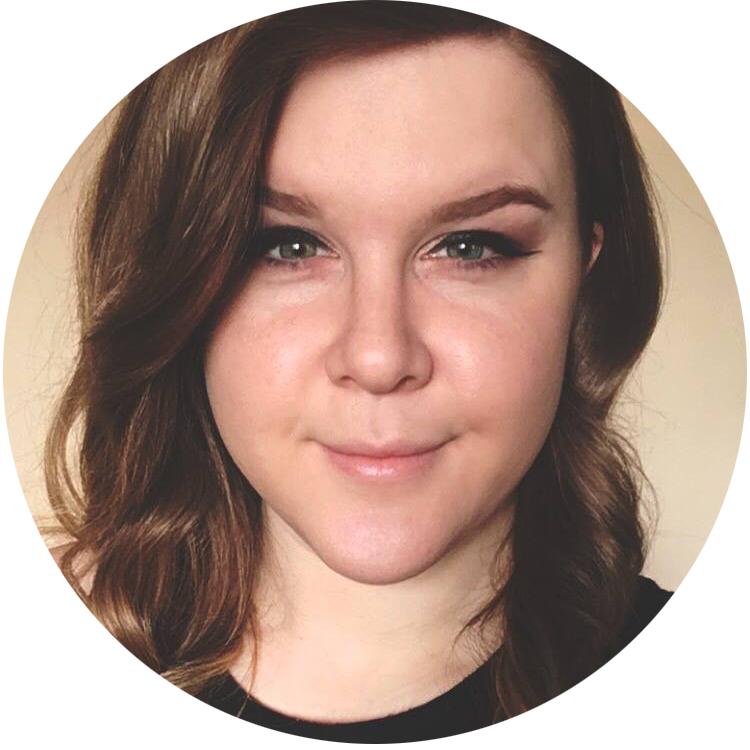 I would love to see how you did these! the background is so cool!! Wow Crafty they look great!